Yingwen Lewis 鄭穎雯 was born in the town of Nan-Tzu (楠梓區), Kaohsiung County, Taiwan and began her piano studies at the age of four. 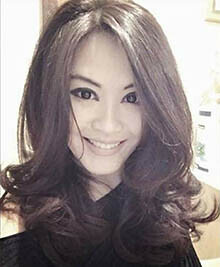 She studied at the National Taiwan University of Arts (國立臺灣藝術大學 – 前國立藝專) in Taipei before coming to the United States to study in the music–rich city of Boston. She studied under such world renowned musicians as Randall Hodgkinson, Hae-Sun Paik, and Benjamin Zander. Yingwen received her diploma in music performance from the New England Conservatory in 1996. Yingwen’s repertoire includes an extensive list of representative works by Mozart, Beethoven, Bach, Chopin, Liszt, Hindemith, Schumann, Debussy, and many others from the Baroque, Classical, and Romantic periods. Marked by fluid technique, focused style, and flawless execution, she is a well sought-after instructor as well as accompanist for choirs and soloists. Yingwen is currently available as a soloist and as an accompanist for vocal and instrumental recitals in the San Francisco Bay Area in Northern California. 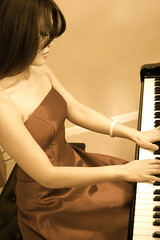 As a piano teacher, she is accepting talented private classical piano students, ages five to adult. Her students mostly come from Danville, Diablo, San Ramon, Windemere, Blackhawk, and Alamo. Young beginners, hobbyists, accomplished students, and advanced pianists preparing for conservatory enrollment are all encouraged to inquire about lessons! Preparation for music certification exams are available. Examinations are done through the The Associated Board of the Royal Schools of Music (ABRSM), levels 6 – 8 only. Certification exam guidance is available for piano performance and music theory. Contact me if you would like more information on this program. Private instruction in classical double bass and AP Music Theory test prep is also available with Joseph R. Lewis. Please contact me for details.